iZotope Stutter Edit: Can you Make BT Software Performances a Product? Hardware greatly eclipsed software among music tech announcements and last week’s NAMM trade show. 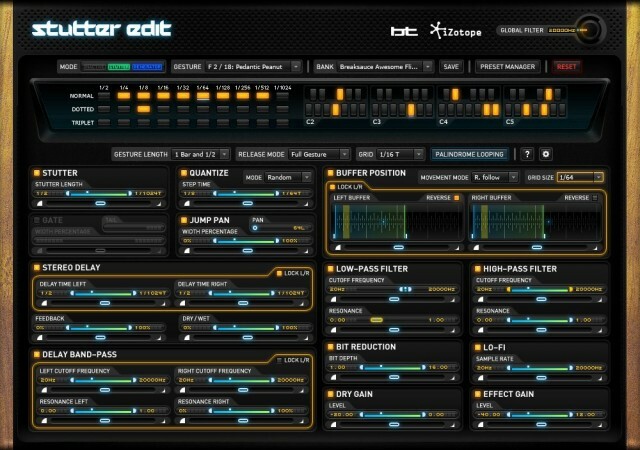 But the one software release that has been generating buzz amongst producers may be iZotope’s Stutter Edit. BT told me in an interview some years ago about how he was using software in beta that he said would change the world, as he claimed credit for the stuttering, sliced editing style that has since become so popular. Now, in a release from iZotope, BT’s Stutter Edit is available as a finished, polished product. Note: The conversation made an impression on me, personally, but I’m recalling something that happened some time ago. The video interview here is likely your best bet for getting his current take, direct from the source. The idea is this: take the style of sliced-up, digitally mangled, stuttering micro-edits, and turn it into an instrument. Ableton’s Beat Repeat and Audio Damage’s superb Replicant, among others, do something like that. 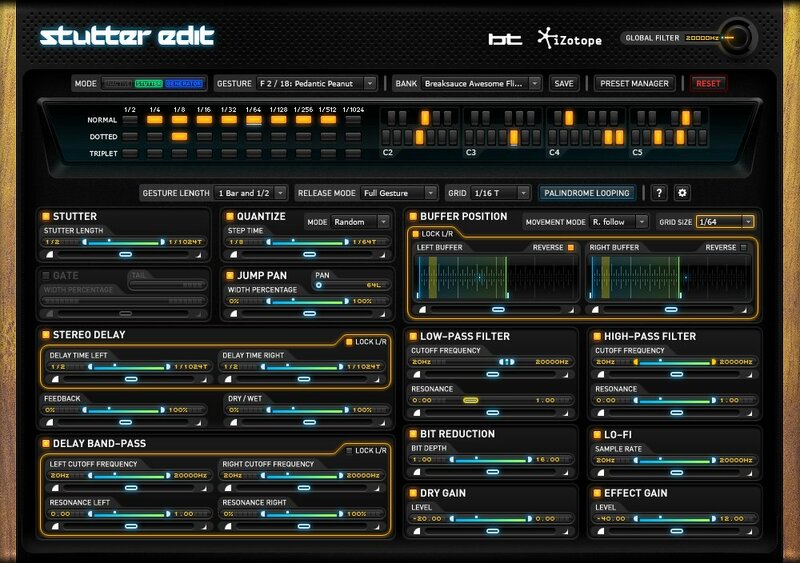 But Stutter Edit is more of a multi-effects stuttering effect, packed with different processors and rigged for life performance. It does repeats of different musical lengths, but also pitched effects, buffer position, bit reduction and digital distortion, delay, gate, pan, and filters. All of these settings are cleverly mapped to performance controls so you can play the resulting effects. The results may be closer to what some people have done with Reaktor patches and the like than a previous product. It’s far deeper than I would have imagined in its combined modules, and while I’m not sure it’ll shake me from some other tools, I’m impressed with the combination of tools. In the intervening years it’s taken to release Stutter Edit, though, we’ve heard a lot of these sorts of effects in live performance. Since only BT had this software, users often took tools like the fairly simplistic Ableton Beat Repeat (or others) and combined them in more sophisticated chains. Sometimes, that leads to obvious and uninteresting results, but with some skilled laptop performers, it has also created some unique, personalized beat slicing contraptions. For all the breadth of tools here, any one effect on its own isn’t new – certainly not in the year 2011, though I think it was probably more unique when BT first started using early builds. One significant innovation is that, in addition to modules and presets, Stutter Edit uses what it calls “gestures,” pre-programmed combinations of effects with which you can easily perform. It’s a smart idea, and the tool not only processes audio, but provides “generators” that produce sweeps and rushes of noise from scratch, on the fly. Also, while BT’s stamp is clearly on the tool, Richard Devine, for one, also contributed heavily to presets and gestures. The deeper question may be whether this kind of audio slicing and stuttering and digital effects itself is where artists most want to go with laptop performance. That I can’t answer, but laptop artists will. A demo is available. Windows, Mac support, VST, AU, RTAS. You need a host that can route MIDI input to the plug-in, like FL Studio, Cubase, Reaper, Live, SONAR, etc. Richard Devine shows off some of the gestures he built. Via the ever-vigilant Synthtopia.